Welcome to the Lafayette Urban Ministry! 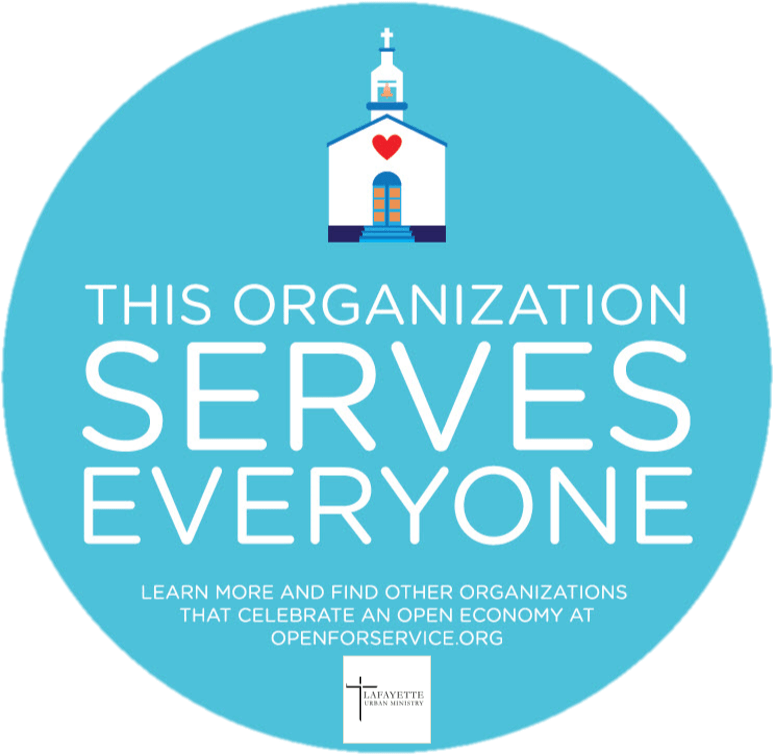 LUM is an ecumenical organization of more than 40 Greater Lafayette churches serving children and families in our community who are experiencing difficult times. Through 26 programs of service, self-help, and social justice advocacy, we give back the hope, future, and self-respect which all God’s people need and deserve. Formed in 1972 as an ecumenical partnership between seven downtown churches, our mission is to follow Christ’s mandate to love. LUM is first recourse and last resort for thousands of children and families in our community who have critical needs. Whether through emergency financial assistance, overnight shelter, the sharing of food with the hungry, or through one of our many creative youth programs, the Lafayette Urban Ministry touches the future by helping children and families today. LUM is a not-for-profit organization organized under section 501(c)(3) of the Internal Revenue Service Code. A Board of Directors consisting of one representative of each of our member churches governs us. Through generous gifts of time, talent, and treasure, local churches and individuals help LUM to serve as a strong and viable social safety net. Working families in Greater Lafayette continue to feel the harsh impact of a national recession, and our child poverty rate remains significantly higher than in other Indiana communities. That’s why the Lafayette Urban Ministry depends upon the involvement of individuals like you who are committed to making a difference. Working together we can build brighter futures for all of our community’s children and families. So come in and get to know LUM better! Learn about our programs, opportunities to volunteer, and how you might support our important work with your dollars. If you have questions, feel free to email me directly at lum@lumserve.org. Rev. Martin Luther King Jr. said, “Everybody can be great because anybody can serve.” Why not share the greatness in you? Become involved in the Lafayette Urban Ministry today!